(Trent Nelson | Tribune file photo) A shortage of homes for sale along the booming Wasatch Front has resulted in Utah having some of the country's fastest-rising home prices, which could end up hurting the economy because household incomes are not keeping pace, a threat to home ownership hopes for many. 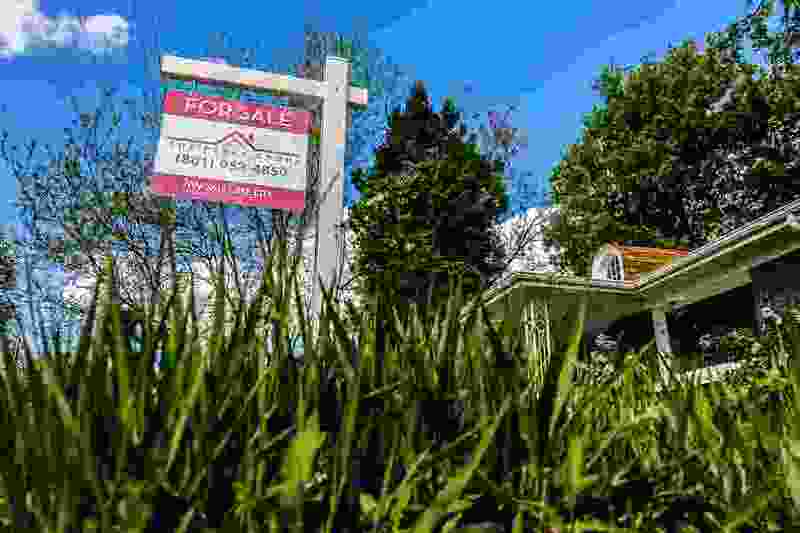 Housing prices in Utah have risen faster than almost anywhere in the country for a generation and the trend seems likely to continue — even though household incomes are not keeping pace. A preliminary study out Wednesday from the University of Utah’s Kem C. Gardner Policy Institute warned that rising interest rates on mortgages will reduce the number of people who can afford to buy a home and could keep lifting housing costs to a point where they hinder the Wasatch Front’s ability to compete with other metropolitan areas for desirable businesses. • Since 1991, Salt Lake County housing prices have increased 4.5 percent annually, compared with 1.5 percent nationally. At that rate, a home that cost $125,000 in ’91 was worth $393,000 last year in Salt Lake; but, nationwide, only would have climbed in value to $184,000. • Compounded over 26 years, Utah’s housing price index has risen 276.1 percent, an amount exceeded only by Colorado (327 percent), Oregon (303 percent) and Montana (279 percent). The average increase nationally was 148.7 percent. • When adjusted for inflation, the 3.32 percent jump in housing prices since 1991 has far outstripped the rise in household incomes, which amounted to just 0.36 percent. • For decades, the state had seen the number of housing units built each year exceed the number of new households by about 10 percent. But since 2010, that ratio has been reversed, contributing to the housing shortage that has driven up prices. • The housing shortage is likely to continue for three to four years. • Those with lower income are 32 times more likely to face a “severe burden” to meet housing costs compared with Utahns who make more than the median income. • Despite record construction in recent years, the housing shortage also is driving rental rates up at a 3.3 percent annual rate, compared with 2.7 percent nationally, once again having a disproportionately bigger impact on poorer people. (Tyler Cobb | The Salt Lake Tribune) Construction crews work on the apartment buildings at the Hardware District in Salt Lake City on Tuesday, Jan. 23, 2018. To be affordable, a home or apartment should not cost the owner/tenant more than 30 percent of their income. Chamber leaders asked the institute to produce the report, seeking a better understanding of Utah’s housing market and the affordability challenges it presents. These preliminary results, released before the full report comes out in about a month, “validated our concerns about housing appreciation trends,” said Abby Osborne, the chamber’s vice president of government relations. “This is probably the one topic that no one is talking about that is really our biggest economic threat,” she said, citing the report’s conclusion that the current pace of price increases would mean that 15 years from now, that home worth $125,000 in 1991 will have skyrocketed to $736,000 in value. “We can’t continue to have economic success unless we address this,” Osborne said, adding the chamber intends to use study data to influence local governments to alleviate the situation with land-use policies that drive intelligent development patterns and affect overall housing prices.